One of last year’s best album releases was Jah Sun’s Rise as One, and one of its many highlights was the up-tempo Richie Spice combination Can’t Live Good, a cut produced by Dynasty Records. The label has happily enough voiced a bunch of other artists on that tasty riddim, a riddim titled Crunch Time. The one riddim album collects impressive cuts from the likes of Gappy Ranks, Lutan Fyah, Delly Ranx, Bobby Hustle and Sensation & Jus Goodie. Check Unity Sound’s megamix below and be prepared on September 2 when the riddim drops. Jamaican rugged crooner Richie Spice’s latest album is a 15-track unplugged set. Well, almost anyway. The bonus track Agony is electrified journey into the 80’s soul scene and keyboard is used throughout the album, especially apparent in My Heart, which has a hard keyboard intro, reminiscent of European electronica. Otherwise Soothing Sounds: Acoustic is an unplugged affair and mixes classic reggae with rock, country & western, gospel, jazz and nyabinghi. The initial single Free is one of the standout tracks, which borrows a bit from the Viceroys’ classic Ya Ho, and has Richie Spice’s expressive voice over just an acoustic guitar, nyabinghi drums and a dreamy keyboard. Soothing Sounds collects previously released material in a new setting and some new tracks, one of them being the aforementioned Free. Richie Spice sings convincingly about love and romance, but he also deals with socially-conscious questions. There are some annoying sound effects, such as pouring water, which ruins a track like Get Up, and the audio quality on My Girl is below par. Generally, however, Soothing Sounds is a fine set of easy-going sounds and it also showcases Richie Spice’s talent as a producer. Soothing Sounds: Acoustic is now available on CD from selected retailers and on digital platforms. The acoustic trend has taken reggae by storm and this year both Clinton Fearon and Tarrus Riley have each put out an acclaimed set. Now it’s Richie Spice’s turn. His Soothing Sounds: Acoustic collects re-recordings of old material coupled with new tracks. Reggaemani had a chat with Richie Spice about why he has stripped himself and why the album is already a classic. 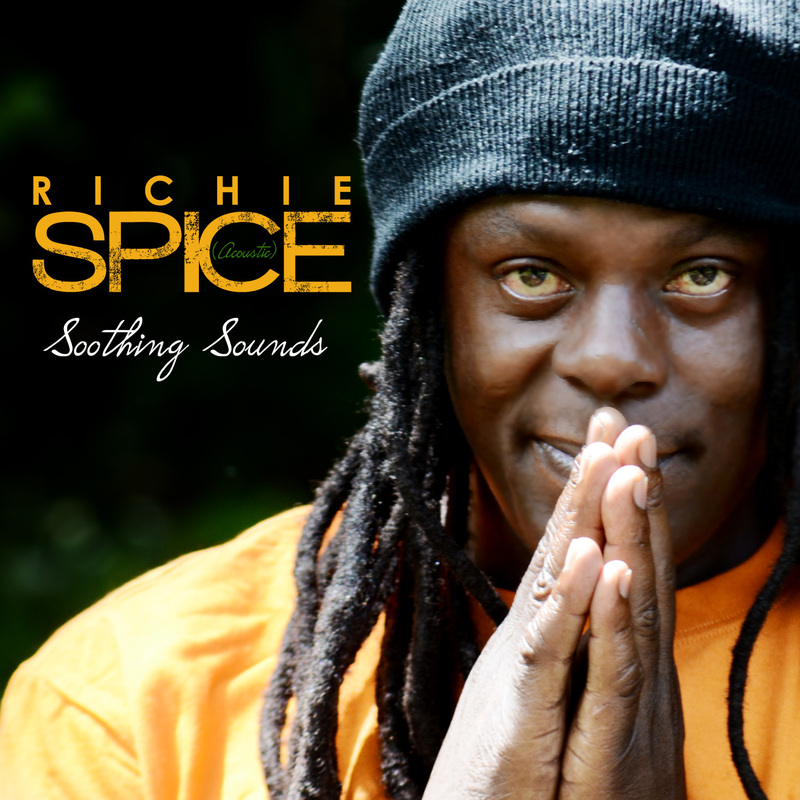 Soothing Sounds presents Richie Spice unplugged for the first time. Ask any music fan about his or her favorite acoustic reggae track and the answer will probably be Bob Marley’s heartfelt Redemption Song, included on his last album Uprising released in 1980. Bob Marley was not the first to record reggae with sparse arrangements, and one of my personal favorites is Joe Higgs’ – coincidentally Bob Marley’s mentor – unplugged version of There’s a Reward. Over the last years the acoustic reggae catalogue has grown, partly thanks to guitarist Earl “Chinna” Smith and his nyabinghi-influenced project Inna de Yard All Stars. In 2012 the catalogue has broadened even more since two world-known singers have dropped acoustic sets – Tarrus Riley’s Mecoustic and Clinton Fearon’s Heart and Soul. A third artist drops his acoustic project tomorrow. 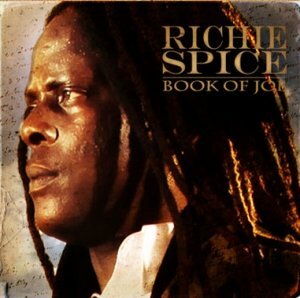 Richie Spice is his name, and you will know him by a trail of strong albums and equally strong singles, including Earth a Run Red, Youth Dem Cold, Marijuana and Di Plane Land. You might also recognize his rugged crooning and his railing against injustices and the plight of the oppressed. Richie Spice was born Richell Bonner in the Kingston suburb of St. Andrew in 1971, and hails from a musical family that includes his older brother Pliers, from the deejay/singer duo Chaka Demus & Pliers, middle brother and singer Spanner Banner as well as his younger brother Snatcha Lion. The latter two team up with Richie Spice on the family affair More Love. It was Spanner Banner who initially brought Richie Spice to the recording studio, although he didn’t get the opportunity to record that time it opened his eyes to the proficiency required to succeed in the reggae industry. “It was a strong learning experience. At that time I tried to record but I was never really ready so I couldn’t manage it. But it showed me that there is a lot of work to be done. So just do the necessary things until you reach that space where you are supposed to be,” recalls Richie Spice. His biggest hit to date is Youth Dem Cold, which peaked at 59 on Billboard’s Top 100 Singles Chart and was featured in the video game Grand Theft Auto IV. Richie Spice is a man of few words and it seems he likes his music to do much of the talking, but it’s apparent that he has high hopes on his new album. “It has been on my mind for a long time and now it’s manifested to reality. It’s a new path in my career and it’s very exciting,” he says. The recording process has taken some time – approximately nine months – and the album is produced by himself with a little help from co-producer Mitchum “Khan” Chin. “The album has a good vibration and I was feeling it from a long time. It’s an inspired album with songs I really loved and other people loved them also. I wanted to break it down and add a new level to them,” he explains referring to the re-recorded tracks on the set. An unplugged environment is naked and personal, which puts Richie Spice’s passionate vocals very much in the front. He sings every word and every syllable like he means them, something that put a lot of weight on his socially-conscious anthems about righteousness, unity and love. Soothing Sounds presents Richie Spice unplugged for the first time, even though the albums boasts a myriad of influences and musical influences – contemporary acoustic rock, Spanish guitar, jazz and African drum beats to 80’s soul in the bonus track Agony, with a bass line invented by Robbie Shakespeare right there in the studio. 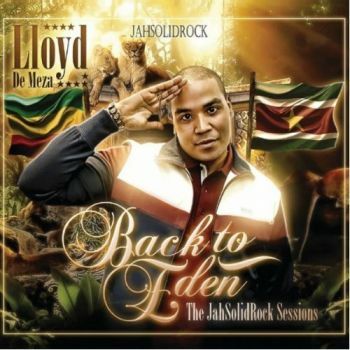 Dutch soul singer Lloyd de Meza has teamed up with his compatriots in production crew Not Easy At All Productions and label JahSolidRock. The result is his love-infused debut reggae album Back to Eden, a set based on the rootsy rock-solid backing that has previously provided the foundation for albums by Chezidek, Apple Gabriel and Earl Sixteen. One of Lloyd de Meza’s first takes on voicing reggae was Part of My Life included on the various artists’ compilation Cultural Vibes Vol. 1 put out in late 2010. Previously he has released several hit singles in the contemporary soul/R&B vein in his native language. Apparently Lloyd de Meza started to record reggae by accident. He dropped by the JahSolidRock studio, enjoyed what he heard – pounding bass lines, groovy drum patterns and melodic horns – and voiced one riddim after another. Lie to Me was the first single from Back to Eden and dropped about a year ago. It contained some wicked clavinet work and a catchy chorus. The album is in the same strong vein, and particular highlights include the three combinations Back to Eden, Mama and City of Love with Joggo, Richie Spice and Kinah, a female singer I’d love to hear more from. Back to Eden shows once again that the combination of Not Easy At All Productions and JahSolidRock works very well, and I hope they will start building new riddims soon, since this is the fourth set that uses more or less the same riddims. However, I can’t say I’m tired of them yet. Richie Spice is one of the most consistent album artists from Jamaica in recent years. Almost all of his four studio albums have had a very high standard. And his new album – Book of Job – is no exception. Book of Job is certainly a very conscious album with mainly two themes represented –praising women and praising God. Richie Spice has previously worked with well acclaimed producers such as Clive Hunt and Bobby “Digital” Dixon. He also cut the masterpiece Di Plane Land for Kemar “Flava” McGregor in 2008, a tune that was included on the album Gideon Boot released the same year. For Book of Job he has teamed up with skilled producer Donovan Germain, but the album also includes producers Raging Fyah, Shane Brown and Steven “Lenky” Marsden. The album includes 12 tunes, all on well executed one drop riddims. And this suits Richie Spice’s raspy and rugged voice very well. It also contradicts quite nicely to the clean and powerful backing vocals. Some of the tunes are previously released, while others are new efforts. 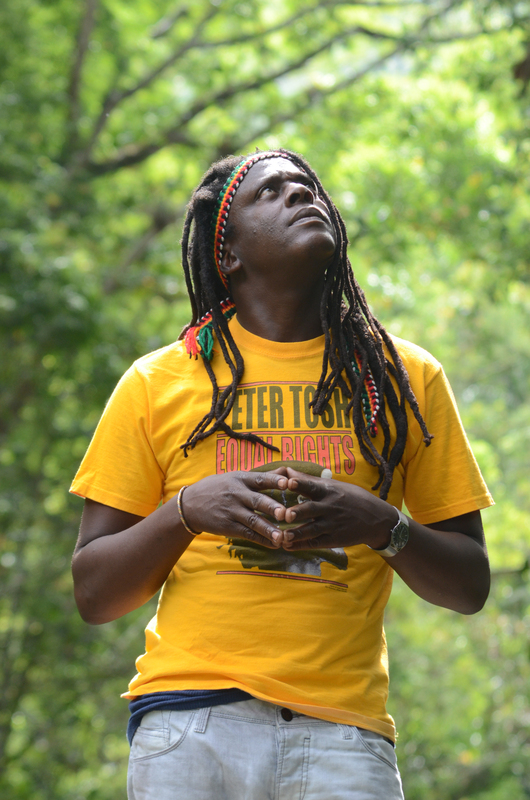 The catchy Yap Yap is reminiscent of Old Macdonald Had a Farm and the anthemic Soothing Sound, on the Indiscretion riddim, is among the album’s several highlights. Book of Job is soothing your soul and you don’t want to turn it down. It’ll keep the fire burning and make you want to play reggae music night and day, as Richie Spice might have put it. The album hit the streets on Tuesday March 15th. VP Records and its subsidiary Greensleeves are the biggest reggae labels in the business and host a bunch of in demand artists. Reggaemani has got a glance of the release schedule for the next months and notes some familiar names. 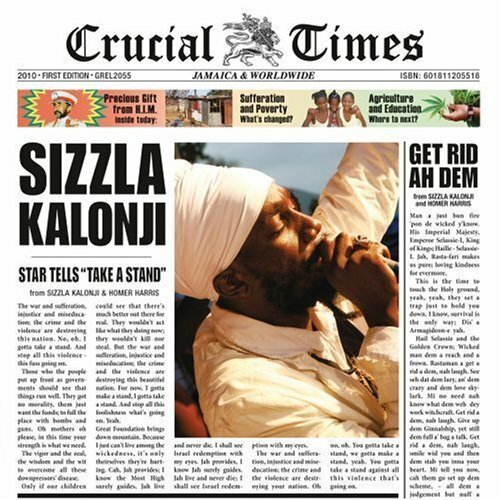 During the first six months last year, VP dropped albums from three giants – Sizzla, Junior Kelly and Capleton. The latter two hadn’t released albums for many years and were much anticipated. The first six months of 2011 don’t include such superstars, but there seem to be some nice albums coming out nonetheless. 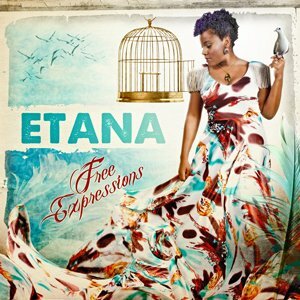 VP has got a nice start with album releases from sweet songstress Etana and energy God Elephant Man. There have also been three great compilations with material from Culture, Dennis Brown and production duo Steely & Clevie. March seems to be an interesting month with a new album from Richie Spice, his fourth for VP. Book of Job – as the album is titled – is produced in collaboration with Penthouse and its first single Black Woman sounds promising. March also offers compilations from gruff voiced deejays Tiger and Assassin aka Agent Sasco. In April lovers rock veteran Sanchez drops his new album Love You More, his follow-up to the great Now & Forever released last year. April also sees the release of the popular Biggest Reggae One Drop Anthems compilation. This compilation wasn’t released last year, but somehow managed to make it back into the release schedule. In May up and coming dancehall singjay Chino releases his debut album. He recently dropped the EP From Mawning with tracks such as Pon Your Head and Protected. He has previously worked a lot with his producing brother Stephen “Di Genious” McGregor and the duo will hopefully continue their road to success. During the coming six months you can also look forward to new studio albums from I Wayne, Queen Ifrica and Dutch sensation Ziggi Recado, who just put out the single Get Out.